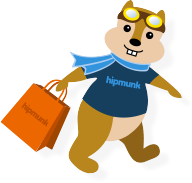 Kotis Design is the official merchandise provider for the Hipmunk Swag Shop, and it hosts and manages the Hipmunk Swag Shop. Kotis is a branded merchandise provider which also creates online store solutions for many different industries. More information about Kotis is available at kotisdesign.com.